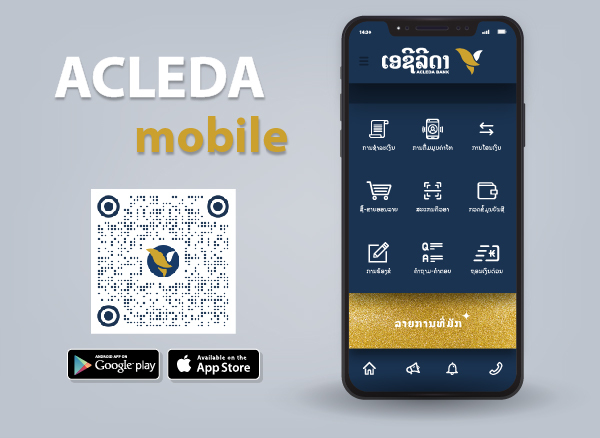 ACLEDA ThanChai is a FinTech Application running on Smart Phone, enabling customers to do banking transactions from anywhere, anytime. ACLEDA Card is an ATM card validly issued by ACLEDA Bank to accountholders to enable such holder to operate the account through ACLEDA Bank's ATM anytime — 24 hours a day and 7 days a week. ACLEDA POS is an electronic machine for using with ACLEDA Card, to pay for goods or services instead of cash safely and conveniently. You can also make cash withdrawals from merchants if they agree to do so.